In today’s post, we are going to do a guest interview with MAJ Michael Kane, an Army Cyber Operations Officer with the 91st Cyber Brigade at Fort Belvoir, Virginia. Mike, it’s a pleasure to interview you again. I always enjoy learning about your military experience. I know this interview is going to provide a ton of value for anyone looking to serve as an Army Cyber Operations Officer. Let’s get started. Michael A. Kane is a 27.5 Year veteran of the Army, having served in the Army Reserve and the Army National Guard. He is a combat veteran of Iraq as well as Afghanistan. Michael enjoys being with his family, personal development, promoting strong marriages, music and entrepreneurial endeavors. He has been married to his wife, Yanick for almost 20-years and they are the parents of four kids ranging in age from 16.5 years to 5 years old. 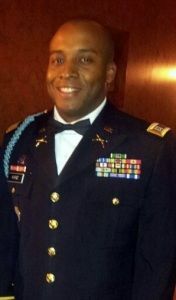 He is currently serving as a Major in the Army National Guard’s 91st Cyber Brigade based in Fairfax, Virginia supporting U.S. Army Cyber Command. Who did you serve with? My name is Michael Kane and I have served as a Cyber Operations Officer with the 91st Cyber Brigade, Virginia Army National Guard, Fairfax, Virginia since May 2017. In my current capacity, I manage the daily operations of a Cyber Vulnerability Assessment team that provides Cyber Defense support for the US Army Cyber Command and the United States Army. What is the Job Description from your OER? Deputy Chief/Operations Officer for the Army Web Risk Assessment Cell (AWRAC) mobilized in support of Army Cyber Command. Responsible for managing and directing Defensive Cyber Operations (DCO) for the AWRAC team in support of the Army Cyber Operations Integration Center (ACOIC). Lead and supervise the AWRAC Operations to include vulnerability assessments and OPSEC, PII, and content review of the Army’s public-facing websites, systems management and development. Provide support to ongoing ARCYBER current missions and future IT initiatives that impact DCO capability. Responsible for managing Cyber operations for a mobilized multi-disciplinary 20-Soldier Army National Guard team. What Were the Primary Tasks You Do Each Day? The primary missions of the Vulnerability Assessment team are to conduct Web Vulnerability Assessments of all U.S. Army public facing websites to ensure that the websites are compliant with US Army Information Assurance requirements and to conduct file content reviews to ensure that the files meet the proper classification requirements to prevent the spillage of higher classified documents. My daily tasks within the mission were to provide the completed reports to the website owners, coordinate any requested/required re-scanning of the websites, ensure that team members are maintaining their DOD Cyber Workforce certifications for their job role, send weekly briefing slides to Army Cyber Command and mentor team members in order to build unit cohesion and promote growth of team capabilities. What Did You Enjoy About the Job? The best part of the job was gaining operational Cyber experience as a manager and acquiring Cyber Certifications and education. During the mission, I was able to earn three certifications (Certified Ethical Hacker (C|EH), CompTIA Advanced Security Practitioner (CASP) and Army Penetration Testing Technician) and attended training for Certified Information Systems Security Professional (CISSP) and the GIAC Penetration Tester (GPEN) certification through the SANS Institute. The certifications are in high demand in the civilian sector and provide me with opportunities in the Army, which is a double win for each domain in my life. I also enjoyed talking with the soldiers through mentoring and coordinating educational opportunities like a Financial Seminar in 2017, supported by the Financial Counselors at Ft. Belvoir, VA. The position also allowed me the time to complete two additional courses for my master’s degree in Cybersecurity in 2017. There are many things that I was able to develop in the job as well, like an increase in my writing skills through the many Executive Summaries and memorandums that I had to write during the mission. Finally, the job allowed me the honor of seeing three lower Enlisted soldiers acquire civilian jobs starting at $90,000 up to $120,000. It was a testament to the value of our mission set, when utilizing time wisely for self-development. There were times during the mission where monotony would attempt to settle in, especially when the scanning computers were offline or there were program errors. Overall, there were not many dislikes about the job, since I’d use downtime to empower myself and others through the promotion of online training or taking college courses. What Skills Does It Take to Succeed in This Job? In order to succeed in this position, a soldier must be a good communicator, mentor, listener, manager and student. As a communicator, the soldier must have a strong speaking ability, writing skills and a desire to enhance each area. To effectively mentor others, you must be able to listen objectively to the soldier’s issues or concerns and provide some insights based on your own experience. As a result of almost 28-years of service and my personality, I love mentoring soldiers and providing them with additional pieces of information to help them along their journey. The job of a commissioned officer is to become the best manager possible; this only happens when you empower and influence your subordinates and peers to be team players. Strong team cohesion builds strong individuals and teams. In reference to being a student, you can never know everything that you can about a job; whenever you start to think that, you can become complacent which can lead to failures. Taking the time to enhance and refresh your knowledge adds value to yourself and the team around you. As my mother always stated, “you are a student for life”! If You Were to Do the Job Again, What Would You Do Differently This Time Around? Some of the things that I’d do different would be to provide more educational opportunities for the team like the Financial Seminar that was mentioned earlier. One of the projects that I was working on was a 3-day course on the Vulnerability Tool that our team was using. This course required bringing in an experienced trainer that would have provided more depth on the capabilities of the tool and clarity on how the vulnerabilities were found. My intent was to provide the soldiers with the ability to answer the site owners that would contact us about the results. While it was not our job to explain the results, it would have added value to our mission and skill-sets. As with many good ideas, sometimes time is not on your side. What Are Three Tips You Would Recommend to Someone Doing This Job? Get to know your subordinates; they will add value to your career development. Thank you for the interview MAJ Kane. 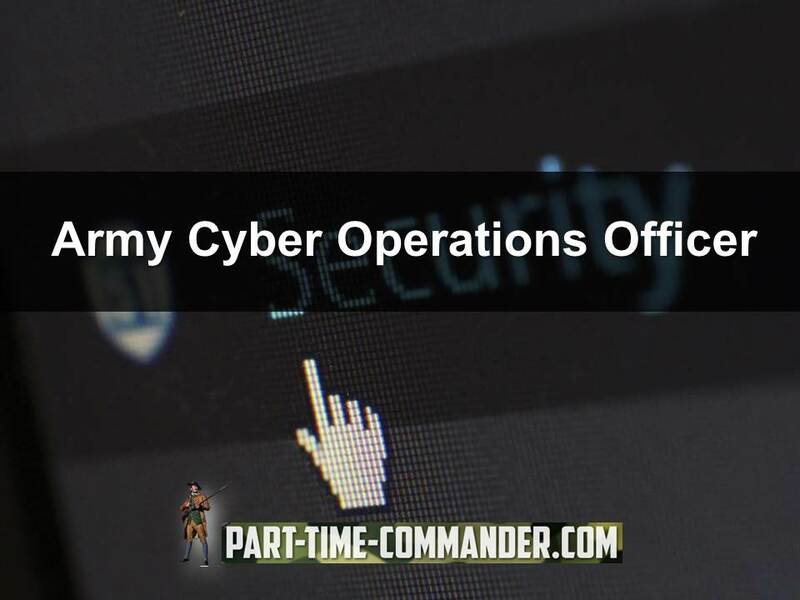 You dropped a ton of wisdom for anyone looking to serve as an Army Cyber Operations Officer. Thanks for your service. Thanks, Daniel! We are awaiting your arrival! You will be a highly valued part of the team!! Thanks classmate! !